So much in life is ephemeral; moments that dissolve and never reappear. Sometimes ephemerality (is that a word??) comes from the unique and specific convergence of several elements. 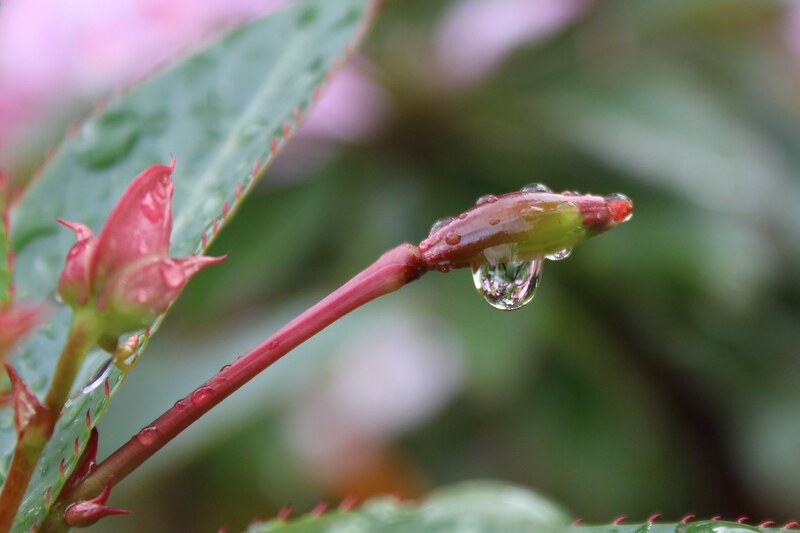 From an impatiens bud (which tomorrow will be a flower) hangs a droplet of rainwater (which will shortly fall to the ground and be absorbed into our parched back lawn). 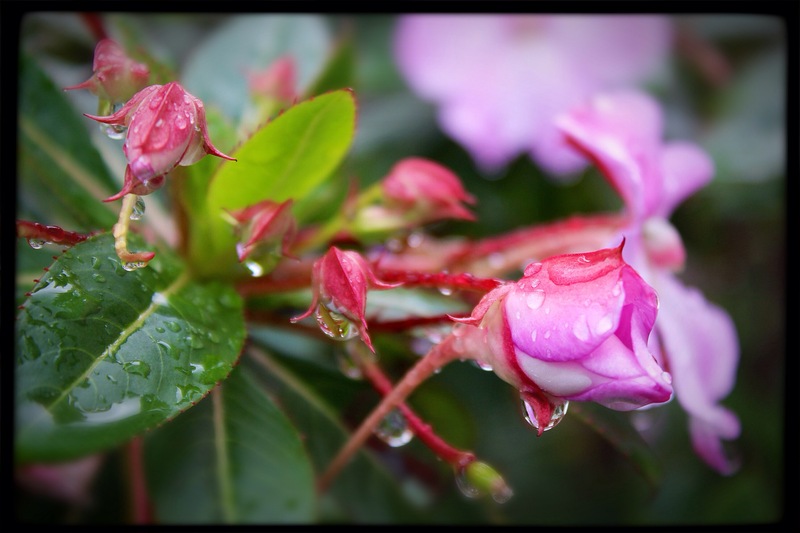 Reflected in that droplet is an upside down garden, itself subject to constant and sometimes significant change. I could return to the same spot every day — or at least after every rain shower — and never recapture this moment. It’s ironic maybe that photography, by capturing an image of the ephemeral, removes that very quality. 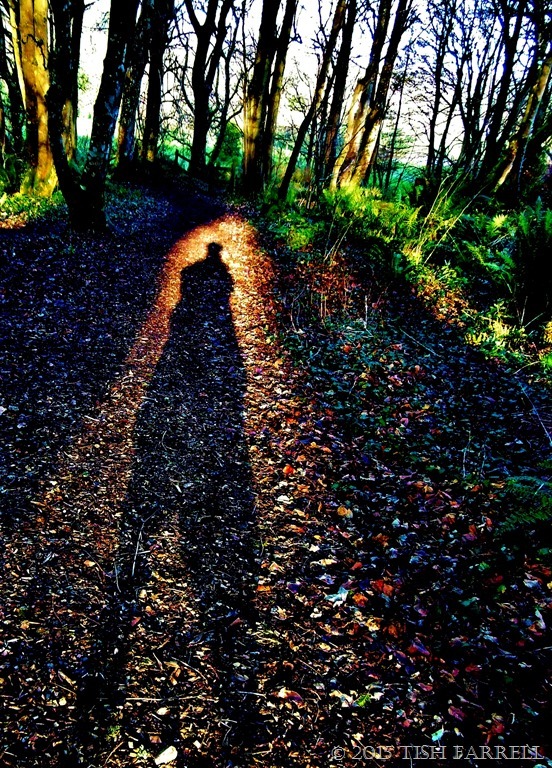 Yet of course, photography itself is not permanent in the big scheme of things. Old negatives degrade, prints are damaged and destroyed, the electronic files in which contemporary images are stored are subject to deletion, corruption and technological change. So we must enjoy our moments now; celebrate the water droplet, the perfect latte, the cat snoozing in the window, and above all the time we spend with those we love and cherish. 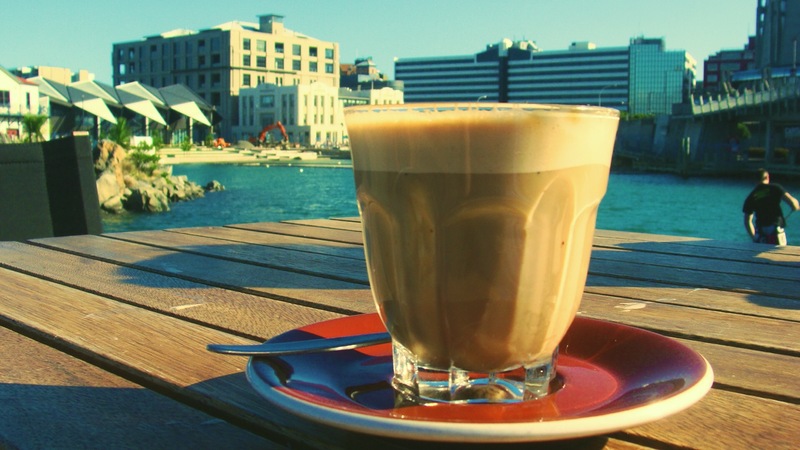 This is not where I normally drink my morning coffee, so a perfect latte on a perfect winter’s morning at Caffe Eis, on Wellington’s waterfront — a moment to cherish. Photo: Su Leslie, 2010. 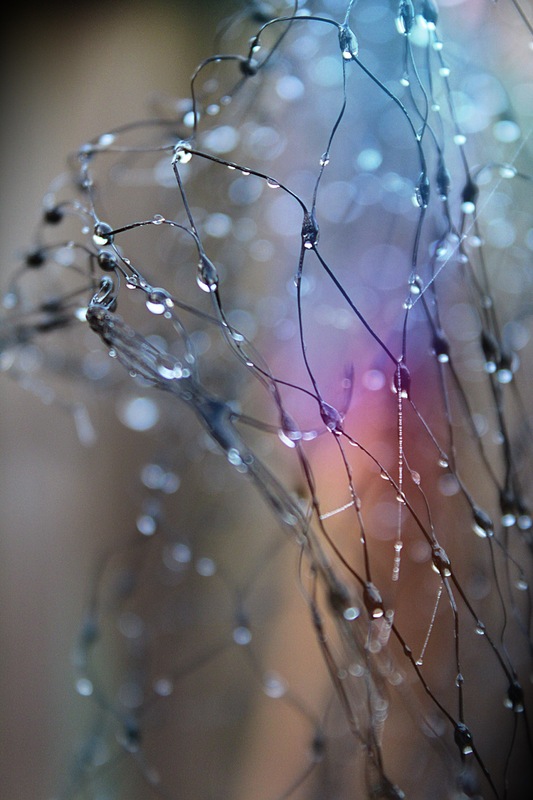 Rain on garden mesh rendered a bit magical by a bit of bokeh and a random play of light. Photo: Su Leslie, 2014. Seen in a bookshop window in San Francisco. 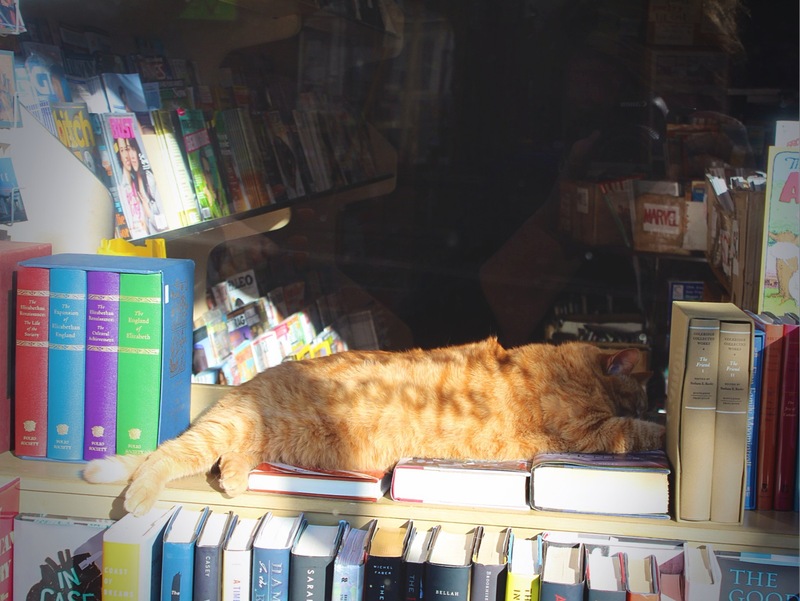 I was captivated by the reflection of the word “books” on the sleeping cat’s fur. Photo: Su Leslie, 2015. Love at first sight. 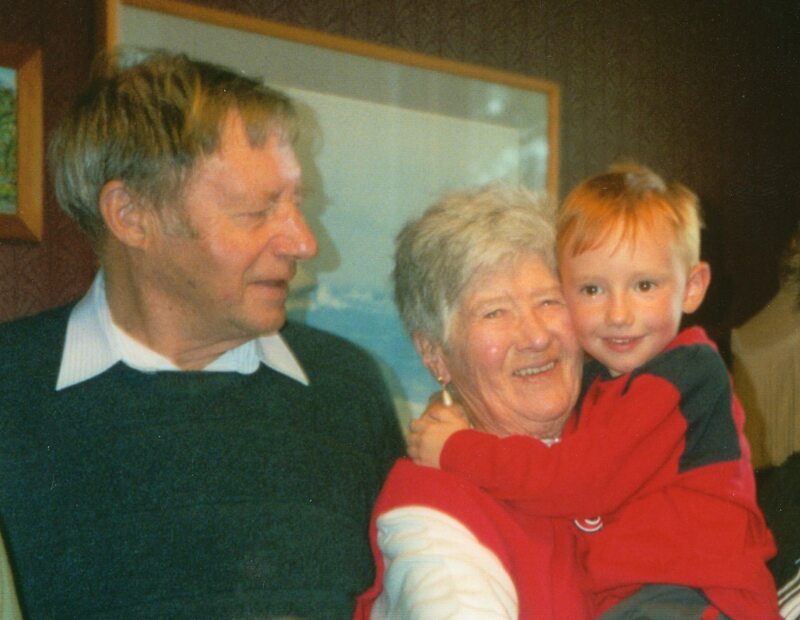 My son, aged 4, showed an instant and total affection for his great aunt Evelyn and great uncle Tom. This photo was taken within minutes of their first meeting. The boy-child is now 17, and Uncle Tom is no longer with us. Photo: Gray family archive. Not sure these claims would survive NZ’s Fair Trading legislation. 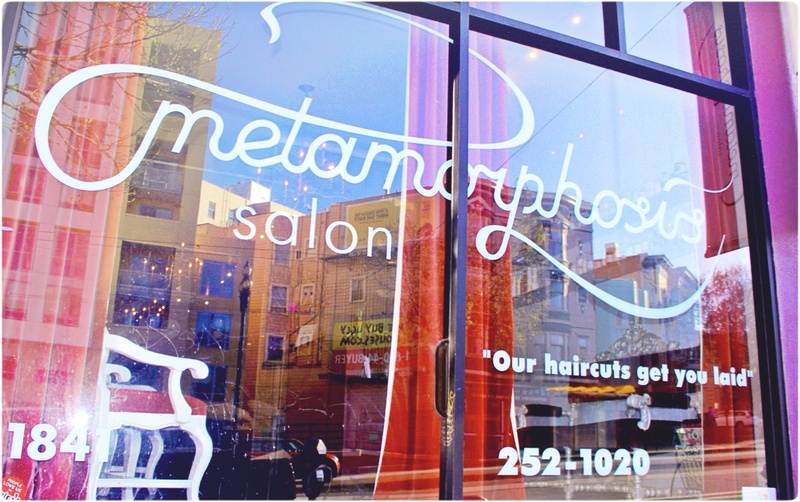 A hairdressing salon window, Mission Street, San Francisco. Photo: Su Leslie, 2015. Seen in Selfridges window, Oxford Street, London. Photo: Su Leslie, 2015. 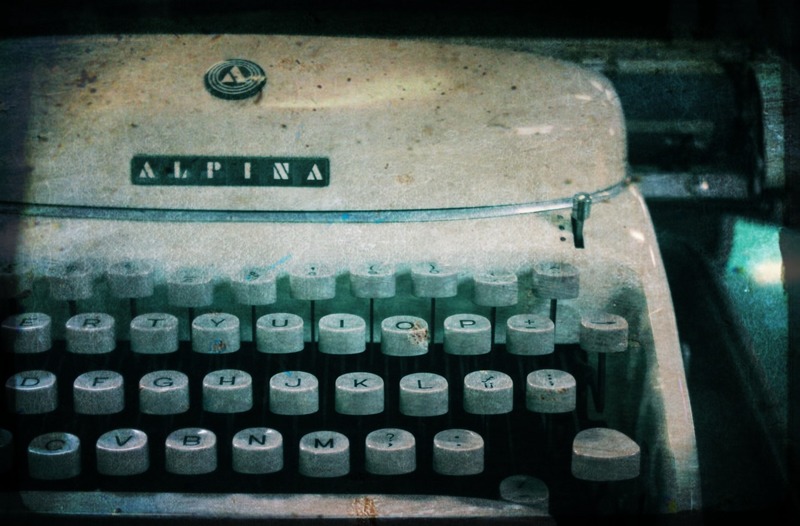 Shot with iPhone4, edited with Pixlr Express. I seem to have developed a habit of photographing shop windows. I’ve only recently become aware of this, and have been thinking about it quite a lot. I think it’s because I love the interplay of items placed and framed deliberately — often with great care and at great expense — against the totally random nature of the world reflected in the glass. Still life with coral – and a couple walking their dog. 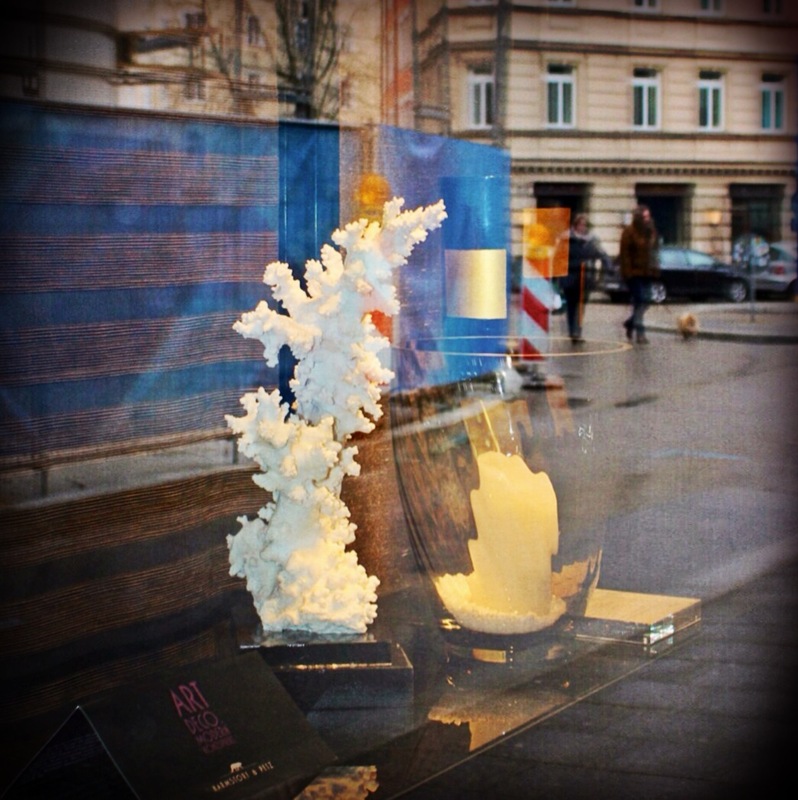 Seen in window of design store, Munich. Photo: Su Leslie, 2015. Shot with iPhone4, edited with Pixlr Express. 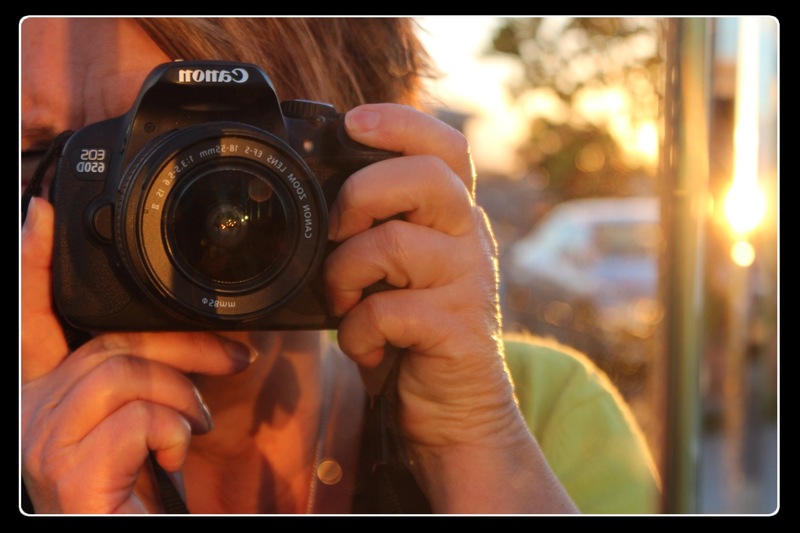 Is it street photography? Abstraction? Or in the case below, self-portrait? 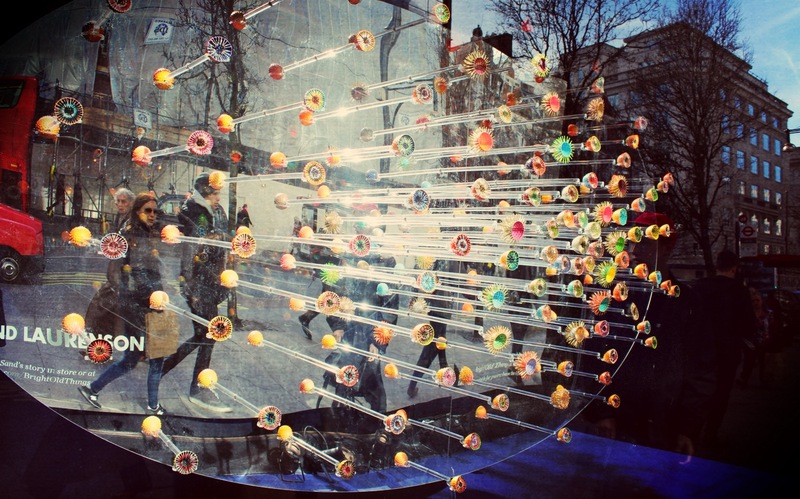 Captured in a store window in Bordeaux. 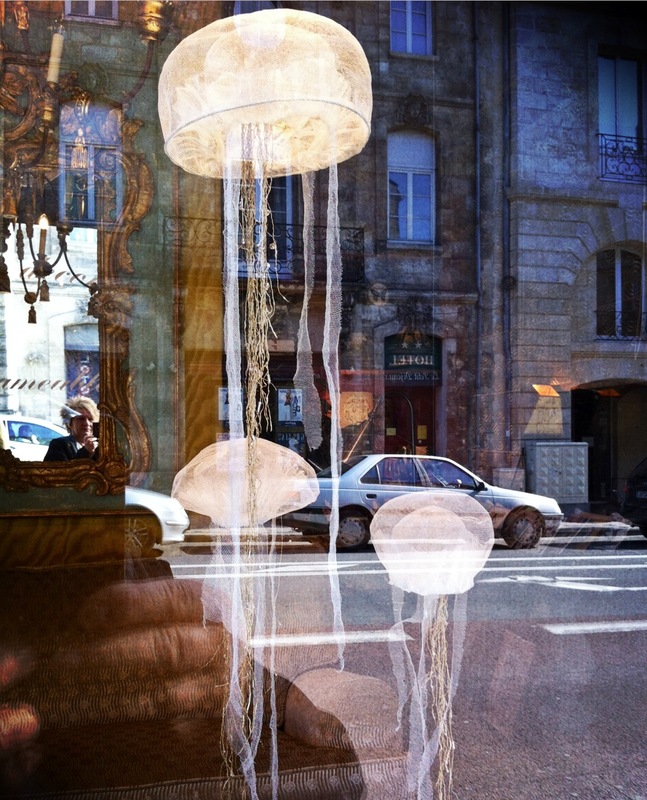 “Jellyfish” made of fabric, chandelier, armchair, street scene and the photographer. Photo: Su Leslie, 2015. Shot with iPhone4, edited with Pixlr Express. This post was written for Sally’s Phoneography and non-SLR Digital Devices Photo Challenge at Lens and Pens by Sally. The holiday is over! Three and a half weeks visiting San Fransisco, Munich, Bordeaux, London and the midlands with the Big T and our boy-child just flew by. Now we’re left with residual jet lag, a huge laundry pile, SD cards full of electronic memories — and human ones that have already softened to forget the not-so-good bits and reshape the rest into an experience we will all treasure. A huge thank you to the people who have chosen to follow ZimmerBitch in my absence. I WILL get over to your blogs to visit and say a proper thanks as soon as I can. It’s always hard to get back into real life after time out, but there a lots of little compensations. 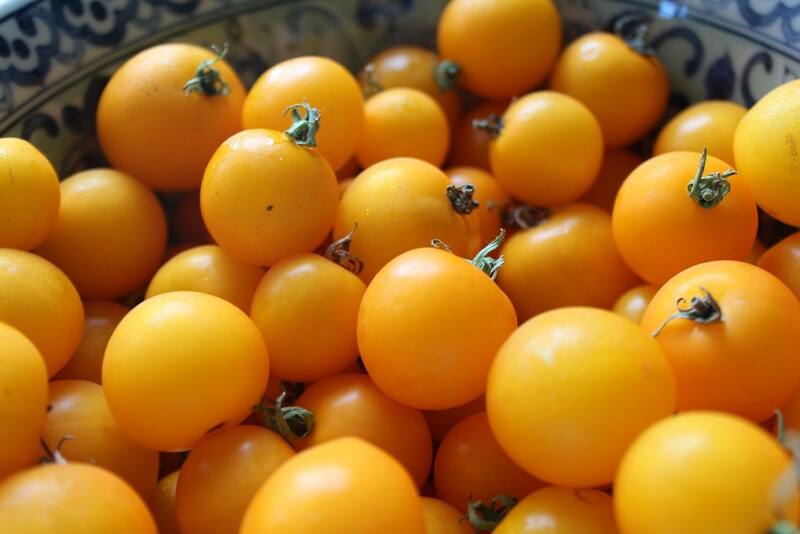 One was coming home to find my tomato plants groaning with tiny sweet fruit. So excuse me for now; I’m just off to enjoy some. Homecoming harvest. Photo: Su Leslie, 2015.